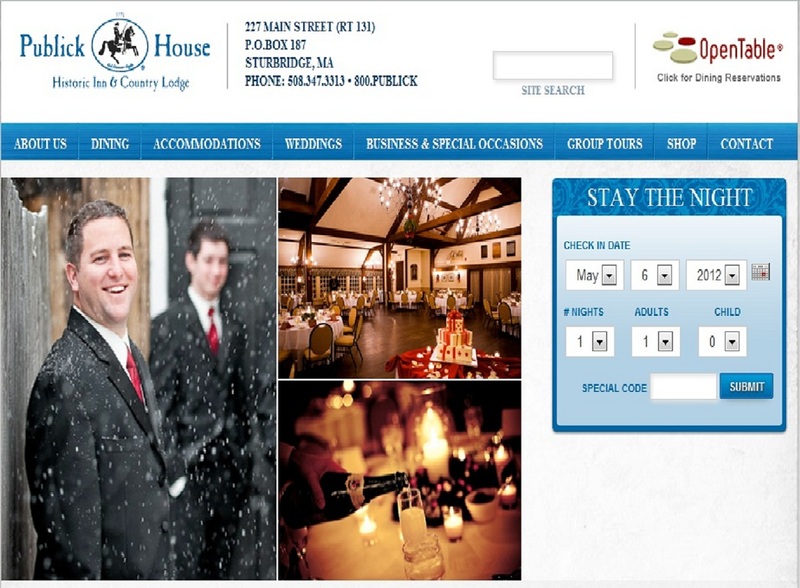 The Publick House just unveiled a new website! This was certainly a labor of love because much like moving to a new house, you never really grasp how much stuff you have until you need to pack it up! Designing a website is very much a work of art. Staving off clutter, while still making sure all the important information remains and putting beautiful photos in the right spots: all these things are all so important! 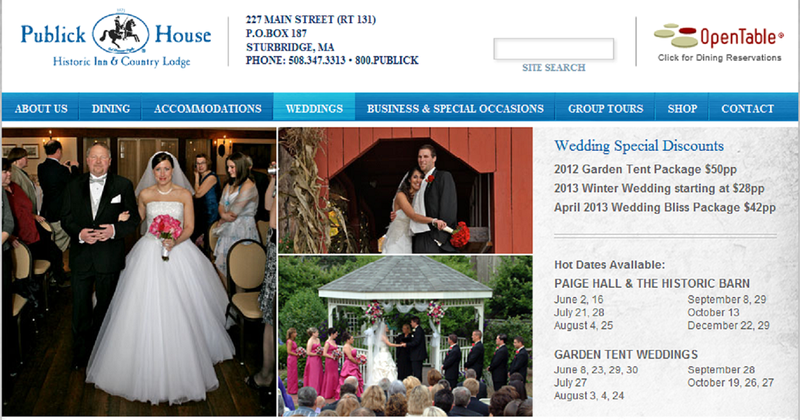 Publick House’s new home page! You can see the new home page above. The Publick House’s signature blue is evident throughout and what great photos! Technology has been changing so rapidly and with that, comes a change in how people use websites. Programs like online reservations systems and software like Open Table all have their place. Planning your wedding? Check out the wedding page! Those of you newly-engaged need to go right to the Wedding Page! All the information is there for your wedding, including packages, beautiful photos to give you ideas and the way to reach the wedding specialists at the Publick House. Lodging getaways, dining specials, corporate meeting packages, group tour information and even a new Bake Shoppe page are all included in this beautiful website. Thanks to Exsel Advertising in Sturbridge who designed the website. Make sure to visit!